Welcome to life in paradise! 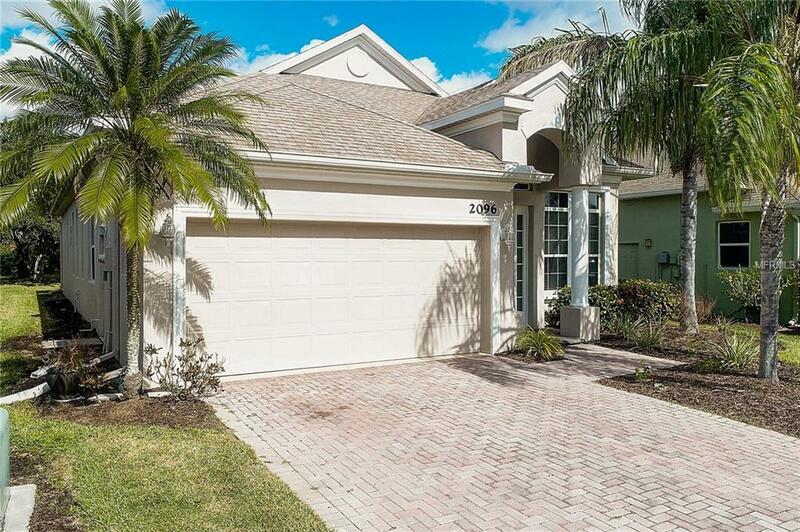 This spacious 4 BR/2 BA lake-view home offers a first-class location, minutes from Venice Beach and beautiful downtown Venice with easy access to I-75, yet set in a quiet, serene and private maintenance-free enclave of only 33 homes. 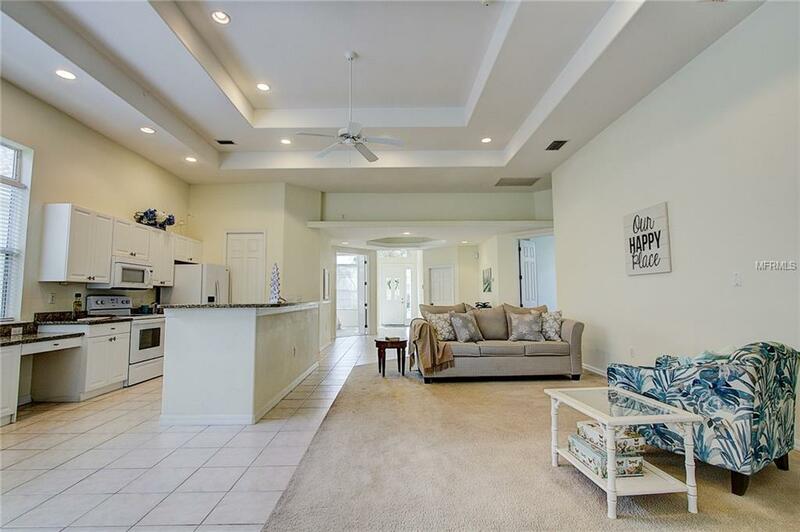 In easy walking distance to the community pool, this home will wow you with its open, bright and airy floor plan, soaring 12 foot ceilings and architectural details throughout. Enjoy watching the peaceful premium lake view while sipping your morning coffee on your lanai. Your family and friends will love to gather in the Great Room, which faces the gourmet kitchen with lots of cabinet space, granite countertops and a generously sized breakfast bar. This home is perfect for both entertaining and spending serene quality time, just reading or relaxing. Your Master Bedroom suite offers sliding glass doors to the lanai, a large walk-in closet and a Master Bath with double sinks and a Roman walk-in shower. The split floor plan features 3 guest rooms and is ideal if you're looking for a home office or den. The entire home has recently been painted on the exterior and interior and the lanai was re-screened in 2017. A/C (2015), Refrigerator, stove, dishwasher, kitchen faucet, washer (2017), 4 new ceiling fans (2017), Garage door opener (2016). 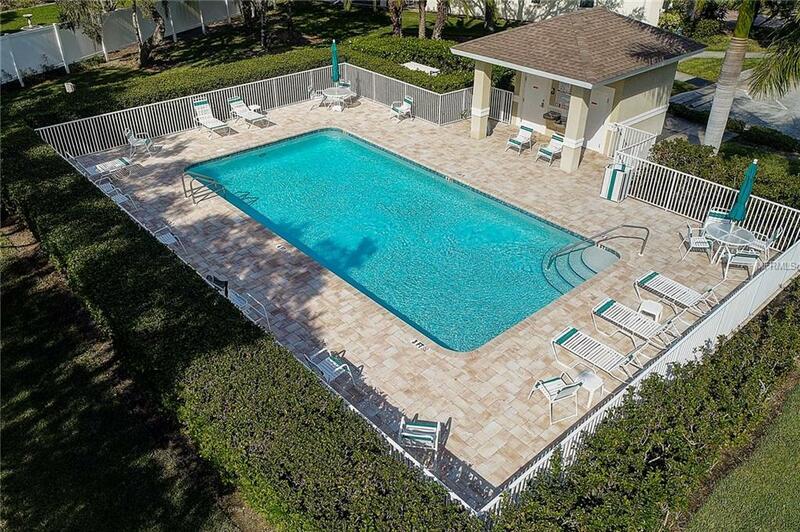 Low HOA fees, No CDD and not in a flood zone. Leave the cold Northern Winters behind and come to year-round sunshine! 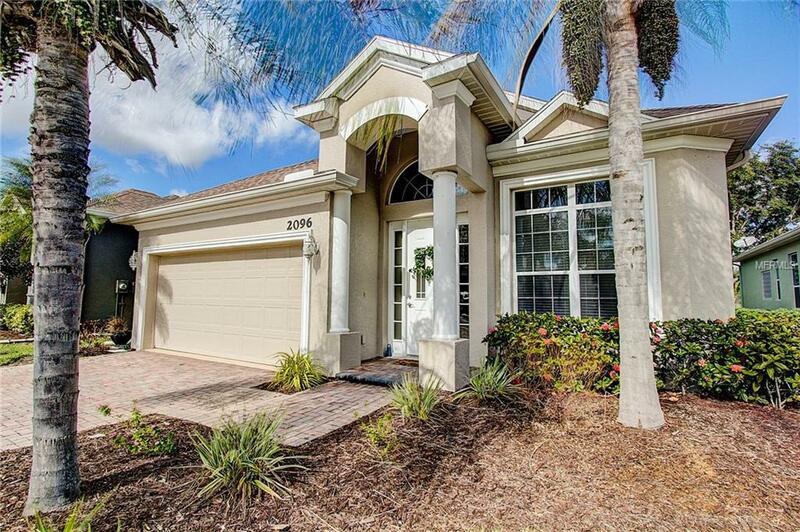 Schedule your appointment to see this beautifully maintained home today! Additional Lease Restrictions Minimum Of 3 Consecutive Months No More Than 4 Times Per Year. Pet Restrictions Household Pets Only. Listing provided courtesy of Wills Real Estate Llc.